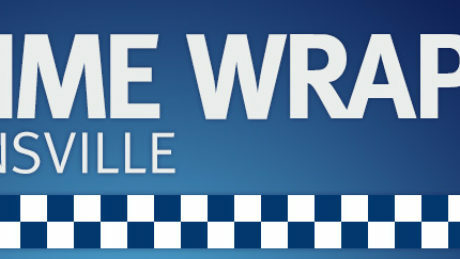 A number of homes and vehicles have been entered during the past 24 hours between 7am to 7am in the Townsville area. Police urge all residents to be vigilant with the security of their property. By ensuring homes and vehicles are locked and property secured, it will decrease the likelihood of becoming a victim of an opportunist crime. Poinciana Street, Cranbrook Vehicle Entry unknown Disturbed by owner. 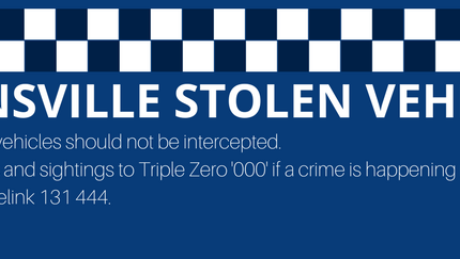 Police are appealing for public assistance to locate a number of vehicles stolen throughout the Townsville District. Several of the vehicles listed below were stolen while the victims were at home. These are the current outstanding stolen vehicles for the last 31 days. 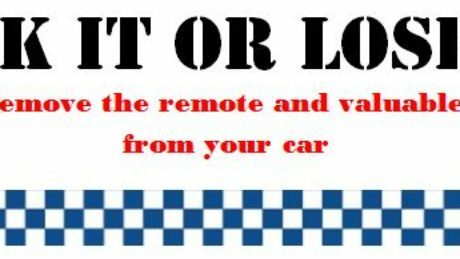 Keys, mobile phones and cash have also been stolen after thieves gained entry to homes and easily located car keys in plain view. 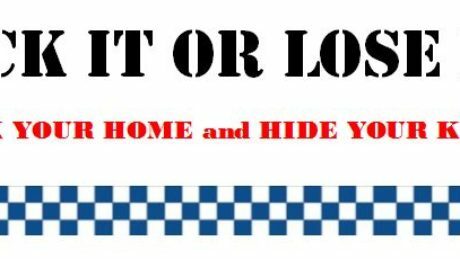 Police advise that residents should secure their home and vehicles to avoid opportunistic thefts. 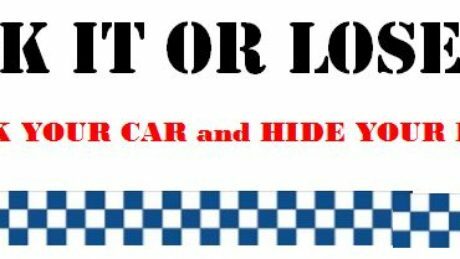 Hiding car keys and valuables will make it difficult for offenders to steal your vehicle and other property. 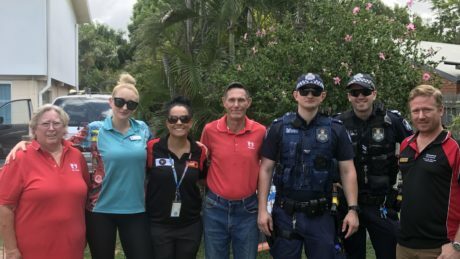 School based police officers from the Townsville Child Protection Investigation Unit and police from townsville station have been conducting the Rights and Responsibilities education sessions as part of the RYDA program. These sessions have been presented to year 11 students from high schools in Townsville from Tuesday, October 17 to Friday, October 20. As part of an interactive one-day program, students experience braking at different speeds, devise travel strategies that will work for them in the real world and get tips from road safety experts on how to protect themselves, their friends and family. The road choices sessions is a discussion on consequences of poor choices on the road, from the tragic human toll to financial and legal ramifications. The program is held at Reid Park Pit-Lane complex. Students are encouraged to take greater responsibility for themselves and their friends before they face the challenges of driving solo or as a passenger of a new driver. Ocean Park Drive, Bushland Beach House Forced glass sliding door open Xbox and games, IPad, watch, mobile phone. Stealing, Stuart: Police have charged a man with stealing following an incident at a licensed premises on Saturday night. At about 10:25pm police were patrolling the carpark of a licensed premises on Stuart Drive, Stuart when they observed two males standing next to a number of silver kegs located near the roller door of the hotel. Police then intercepted a white utility that was observed to drive out onto Stuart Drive. A short time later, police located two women and conducted a search. Police will allege that they located a number of items in one of the women’s handbag with the tags attached. Police will allege that they observed three empty silver kegs and fivehotel drinking glasses in the tray of the utility. A 23-year-old man was charged with stealing and is expected to appear in the Townsville Magistrates Court on November 22. Drink Drive, Townsville city: A woman has been charged with drink driving after police intercepted a vehicle on Sturt Street, Townsville city on early Saturday morning. At about 6.30am police will allege that they observed a Suzuki hatchback stationary at two sets of green traffic lights. Police intercepted the vehicle for the purpose of a roadside breath test. The woman was then transported to the Townsville Police Station for further testing, where she recorded a positive blood alcohol concentration (BAC) of 0.141%. A 33-year-old Annandale woman is expected to appear in the Townsville Magistrates Court on November 6. Six juveniles were taken home by police late Wednesday night after being apprehended following a brief foot chase in Aitkenvale. Police from the Rapid Action and Patrols were responding to reports of number of break and enters in sporting clubs in the Aitkenvale area. All six juveniles, who are known to police for property crime offences, provided the details of other person who allegedly committed the break and enter offences. The group consisted of an eight-year-old boy from Kirwan, 11-year-old boy from Gulliver, 12-year-old boy from Mount Louisa, 12-year-old girl from West End, 13-year-old girl from Gulliver and 14-year-girl from Cranbrook. Acting Senior Sergeant Tony Jacobs from the Rapid Action and Patrols said it’s not uncommon for police to see groups of young people roaming the streets late at night, these groups raise the concerns and anxiety amongst the community, however, rest assure we will take the necessary action to get them off the street. “Parents need to be aware of where their children are and take responsibility for their actions,” Senior Sergeant Jacobs said. All juveniles were placed in the care of their parents.